A breast biopsy removes a small tissue sample from the breast. Taking a biopsy can help our doctors at the Southcoast Breast Center diagnose or rule out breast conditions, including breast cancer. Most biopsies for an abnormal mammogram or ultrasound are needle biopsies. Needle biopsies take about an hour, and patients can drive themselves home and return to normal activity the next day. Our doctors may use X-rays, ultrasound or MRI during a breast biopsy to precisely locate the sample area. 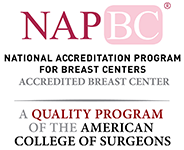 Our breast surgeons and radiologists commonly perform the following types of breast biopsies in southeastern Massachusetts and Rhode Island to patients who have a lump in their breast or have had an abnormal screening mammogram. Magnetic resonance imaging (MRI) may be used by your radiologist to view abnormal breast tissue that may not have been easily identified using other imaging methods. During this procedure, the radiologist will utilize a vacuum-powered instrument that uses pressure to collect many tissue samples during one needle insertion. This is helpful to determine if a lump or microcalcification in the breast is benign (noncancerous) or cancerous. A stereotactic breast biopsy uses a digital mammography machine to guide the radiologist to the abnormal site, so they can collect more than one tissue sample with the use of a vacuum-powered instrument. An ultrasound image may provide in-depth information about any abnormalities or lumps found in the breast, such as their size, shape, and whether or not the lesion is filled with fluid. The ultrasound will be used to guide a needle inserted by the radiology to biopsy the abnormal part of the breast. After a breast biopsy, your doctor will send the tissue sample to a pathologist who will process the tissue and make a diagnosis. If cancer is detected, the biopsy results will guide which specific treatment plan is right for you. 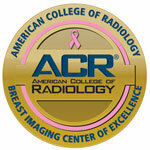 The results of your mammogram and other breast imaging exams. The specific area on your breast to help you visualize it. The type of biopsy you need. If it’s a surgical biopsy, ask if a less invasive technique could work for you. Needle biopsies are appropriate about 90% of the time. How and when you will get the results. In most cases, expect a few days to a week before your doctor has the results. Your recovery time will depend on the type of breast biopsy. For less invasive biopsies, you should be back to your normal activities within 24 hours. Surgical biopsies — incisional and excisional — have a longer recovery. The results of your breast biopsy will guide your next steps. If the results are benign (not cancerous), no further treatment may be necessary. In other cases, your doctor may recommend additional surgeries or treatments. Southcoast Health provides exceptional diagnostics for breast care patients, including breast biopsy, in Fall River, Dartmouth and surrounding areas of Massachusetts and Rhode Island.